This contest started on 5/7/18. This contest has a winner. * Win A $10 McDonald’s Gift Card. Real simple story, Jeff Eats got a $10 McDonald’s Gift Card to give to one of you guys! The $10 Gift Card is good at any McDonald’s location (mcdonalds.com for locations, menu, info). Ain’t no green peppers at McDonald’s!!! 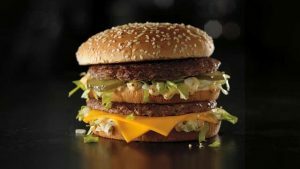 The Big Mac story has me wanting one! I sure would love to win! I really really would love to win! Glad they are trying fresh beef.